I love the Lazygamer team, and especially you, our loyal readers. What wouldn’t I do for you lot? NOTHING IT SEEMS! In an article I wrote a few weeks ago, about Five Nights at Freddy’s 4 getting a new release date, long-time reader and (now ex) friend, Admiral Chief EK, jokingly commented that I should do a “let’s play” video. Bah, who am I kidding? HE WAS BEING DEADLY SERIOUS AND WANTED IT TO HAPPEN OBVIOUSLY! This was a dangerous situation. I tried to play it cool – I did not want to play that horror game, not one bit! Alas… many of you went and upvoted the damn comment, which inevitably drew its attention to the staff, and eventually, Gavin, who gifted me a copy earlier this week. Gee, what a great boss AMIRITE? Who am I to say no though? 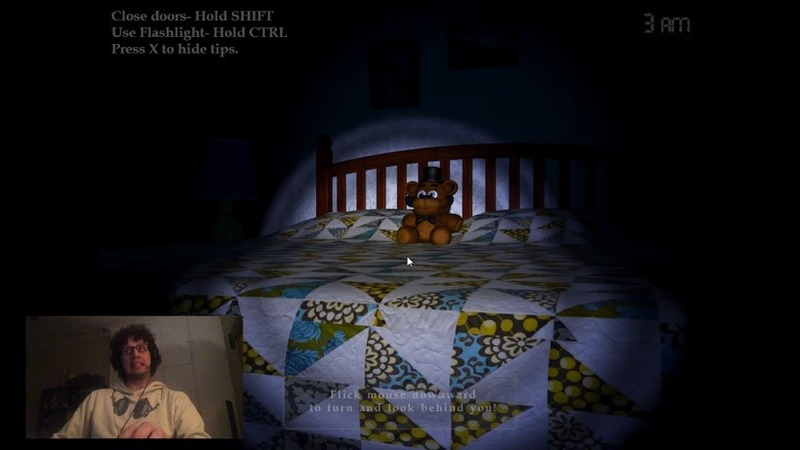 As requested, here’s a video of me playing Five Nights at Freddy’s 4. Prepare to see me as cool as a cucumber – facing the house of evil animatronics without so much as a flinch! Which is of course, a big fat lie. If this experience has taught me anything, it’s that I am not nearly as brave as I thought I was. It turns out I’m a big wuss! Honestly, I can stomach horror material. I’m the guy who’ll yawn through a scary flick, the guy who will remain seated elegantly while everybody else heads toward the ceiling in a hasty manner when something terrifying happens. Even horror games, while keeping me on my toes for the first few minutes, eventually lose their chill factor. Nothing could prepare me for Five Nights at Freddy’s however. I expected the jump scares, each and every single time, yet when they happened, my heartbeat multiplied exponentially. I think I shaved a decade or two off my life expectancy! And I have you all to thank for that. Request to have a video of me playing Five Nights at Freddy’s 4… COMPLETED! Let’s never do that again ok? Thanks!